Heart of Carolina A Cappella is delivering the gift of music to your special someone. A sharply-dressed quartet will surprise your loved one with a rose, a card, and a box of chocolates and two love songs in four part a cappella harmony. You specify the time and place, we'll travel all over the Triangle for this special day! See our free-delivery coverage map. Deliveries starting at just $49. Send a quartet to sing songs to that special someone and brighten their Valentine's Day. Show your team how much you care. Contact us for details. Use the Special Instructions field below to personalize your card. If you have any questions or concerns, email ValentinesHCA@gmail.com. 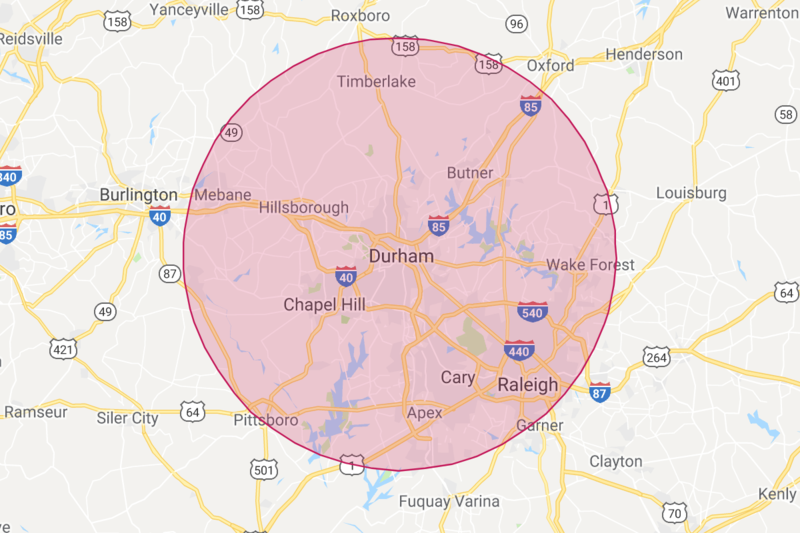 Valentines will be delivered within a 25 mile radius of Durham NC. Be sure to select the correct time in the order form. Please send your check to the address below by February 9 to guarantee delivery.